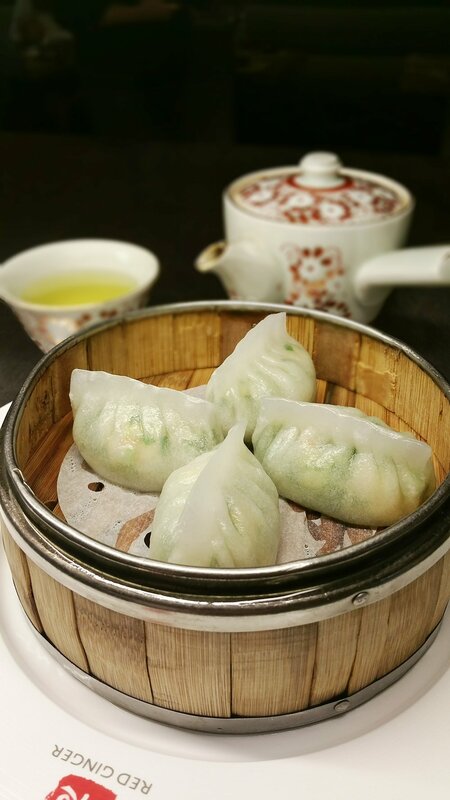 Located in Downtown Asheville, Red Ginger is an authentic Chinese dimsum and tapas bar from the esteemed Chef Ben Chen and Kevin Jiang. Red Ginger's constant goal is to deliver traditional, healthful, and elegant Chinese-style tapas and dim sum to our vibrant mountain community, providing customers with the most authentic and fulfilling dining experience possible. In contrast to the more traditional dim sum experience, wherein guests choose dishes from a rolling cart, Red Ginger embraces a dynamic and interactive dining experience: our open kitchen allows you to truly become a part of the experience that is dim sum, giving you an inside look into the artistry of our seasoned chefs. All dishes consist solely of freshly prepared ingredients, transported directly from local farms straight to your table! And we take it one step further - our extensive and delicious assortment of wines are carefully and lovingly cultivated from our own local vineyard, delivering the highest quality in taste and experience to our valued customers. Pork won ton, seaweed, scallion and Sezchuan pickle in chicken broth. Lightly fried tofu stir-fry with carrot, leaks & fungus in homemade brown sauce. famous Szechuan style dumpling with shrimp and pork in home made hot chili oil, garnish w. cilantro scallion and sesame. Minced pork and green onion with chef’s special mild spicy sauce. Wok fried wide rice noodle with onion, scallion, bean sprout, egg and your choice of chicken, shrimp, roast pork or vegetable. please call restaurant at (828)505-8688 to book your table or book online above. If membership card on your hand already. Thank you for your registration ! We would send you promotions and discounted coupons frequently !